Exploratorium turns into a skate park this Thursday. If you've been gunning for a Radiolab episode on the science of skateboarding, head over to the Exploratorium this Thursday to watch shredding pros Dennis Busenitz, Tony Trujillo and Elissa Steamer tear it up on an impromptu skate park built at the museum. 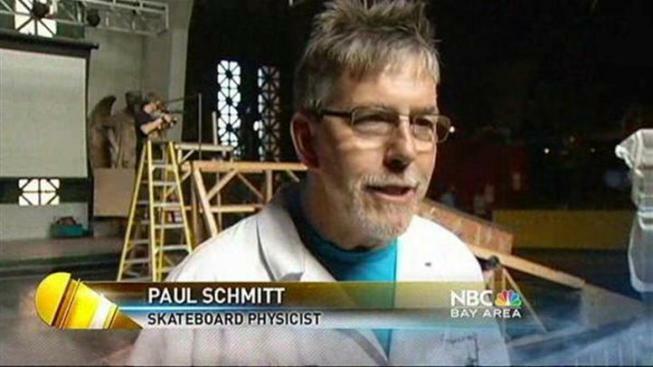 As part of their After Dark series (meaning there's a bar), renowned skateboard designer and producer Paul Schmitt, known in some circles as "The Godfather of Skateboarding," will be on hand, along with Exploratorium senior scientist Paul Doherty to dissect the physics behind the skater's moves (which will be played on a 14-foot Jumbotron). And if you want to try the park for yourself, head back this weekend for Family Skateboard Science Weekend to ollie it up and see live demos by professional skate teams from FTC and Mission Skates.